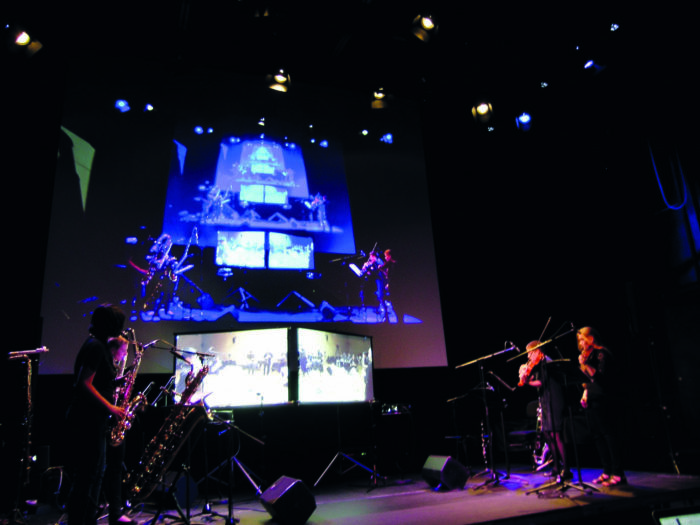 The Concert is a live network performance via internet played simultaneously by musicians in two locations. This concert can be attended in person at any of the two locations. The high definition audio and video network technology provides a collocated venue for synchronous performance. The first part of the concert is featuring music by Bruno Maderna, Lam Lai, Christian Wolff, Boo Chung Kit Donald, and Bojan Milosevic. The second part of the concert is an improvised encounter between the traditional Chinese Guzheng (Chiu Yee) and Matthias Ziegler, bass and contrabass flute. Zurich: Giulia Cudini, Matthias Ziegler, flute; Zhang Kai Ju, saxophone; Hannah Walter, viola; Rosamund van der Westhuizen, violoncello.